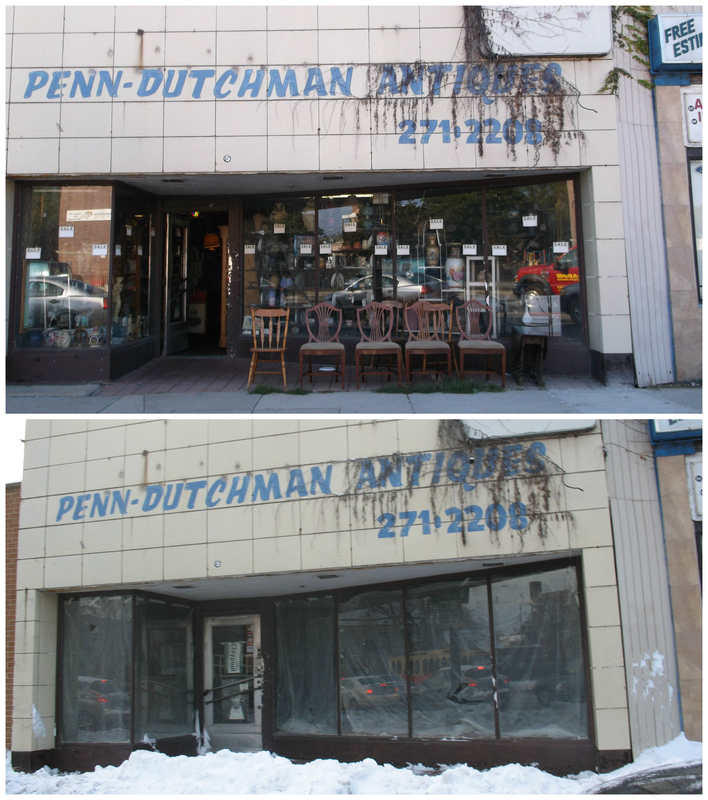 After 40 years, Penn-Dutchman Antiques in Lincoln Square has closed up shop. The photo on top was our Photo Booth on September 26, 2014. The bottom photo was taken last week.